You don’t need to be a cricket tragic to get this one but it might help. 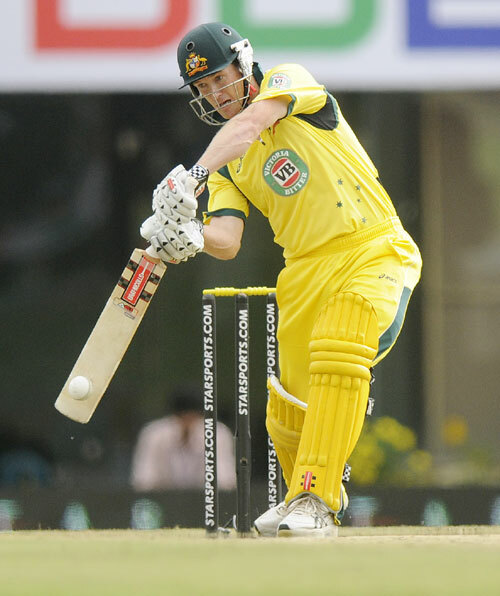 George Bailey is a professional cricketer made captain of Australia’s T20 side in 2014 and promoted to bat at six in the test team. Most pundits thought he probably wouldn’t cut it in the longer form of the game thanks to a tendency to dangle the bat outside the off stump in a rather English fashion [enough said]. So this moment of genius is as much about the circumstance as it is about the quite common event of a gifted athlete achieving near perfection in a sporting contest. The moment was in the second T20I game against England last year. Australia had performed heroics in the field, diving and sliding their way to restricting the english to a modest total. Australia cruised in the chase thanks mainly to brisk work by Shaun Marsh [another prone to random bouts of genius] when a couple of wickets fell bringing Bailey to the crease. A few defensive prods, some deflections and even a dangle or two outside off was as expected. Then a couple of bigger hits, one into the midst of the inebriated 10 rows back. As the commentary team flagrantly warmed to another Australian showing the English what for, the moment came. A packed offside field and a good length ball delivered at respectable pace, all normal enough. Except Bailey smoked the ball along the ground so fast that nobody moved until it hit the boundary rope, threading the path of the ball with precision between the fielders posted to stop that very shot. When I was 15-year-old school kid I saw an english cricketer Derek Randall do the same thing at the Oval in London, an image I will never forget. It is such a thing of beauty when timing is combined so effortlessly with intent that the result happens before anyone can move. Bailey did it and others do it on occasion and I thank them with spontaneous applause from the couch.